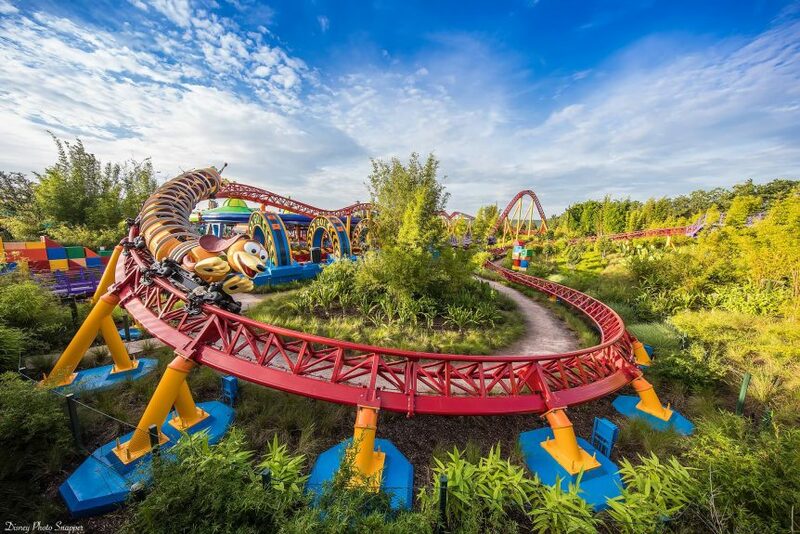 Here’s the latest on the opening of Toy Story Land – plus the all the updates on news, weather, refurbishments and closings this week at Walt Disney World. Toy Story Land is OPEN! Photo by Brett Svenson. Now that Toy Story Land is officially opened, it’s time to find out where you can get all of the charming merchandise! First, there are two carts (one disguised as a toy camper and the other a toy dump truck) located in Toy Story Land filled with cute products. Here you’ll find toys along with new logo items. You can even get a Slinky Dog Dash launching vehicle and an Alien Swirling Saucer ride vehicle replica. You can also find these products and more at Beverly Sunset on Sunset Boulevard, Mickey’s of Hollywood on Hollywood Boulevard, and In Character in the Animation Courtyard. New concept art for Mickey and Minnie’s Runaway Railway. Image courtesy of Disney Parks Blog. 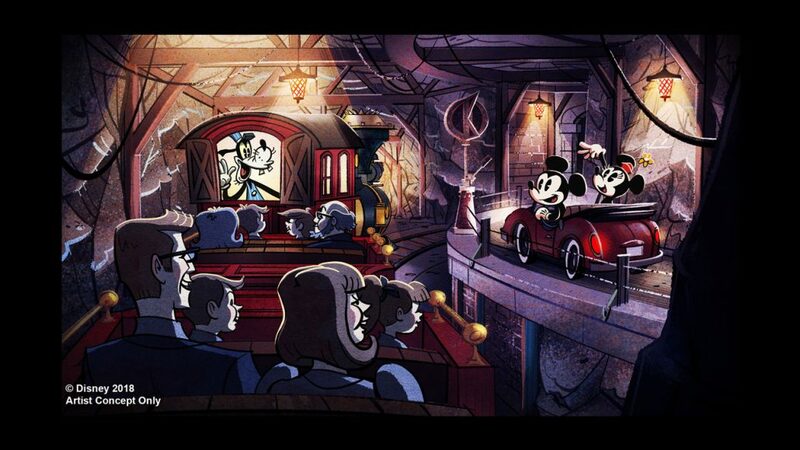 A new image was recently released by Disney to depict a scene from Mickey & Minnie’s Runaway Railway. In the concept art, guests are aboard a train that outwardly resembles the ride vehicle for Big Thunder Mountain Railroad (however, this is not a roller coaster.) Minnie and Mickey are driving by in their car to the right and waving to the guests. The attraction is set to open in 2019 and will feature an original theme song and a creative experience. Lightning McQueen is coming to DHS! Image courtesy of Disney Parks Blog. Get ready to say Ka-Chow! A new show called Lightning McQueen’s Racing Academy is coming to Disney’s Hollywood Studios in early 2019! This new show will be located near Rock ‘n’ Roller Coaster and will feature, of course, Lightning McQueen. 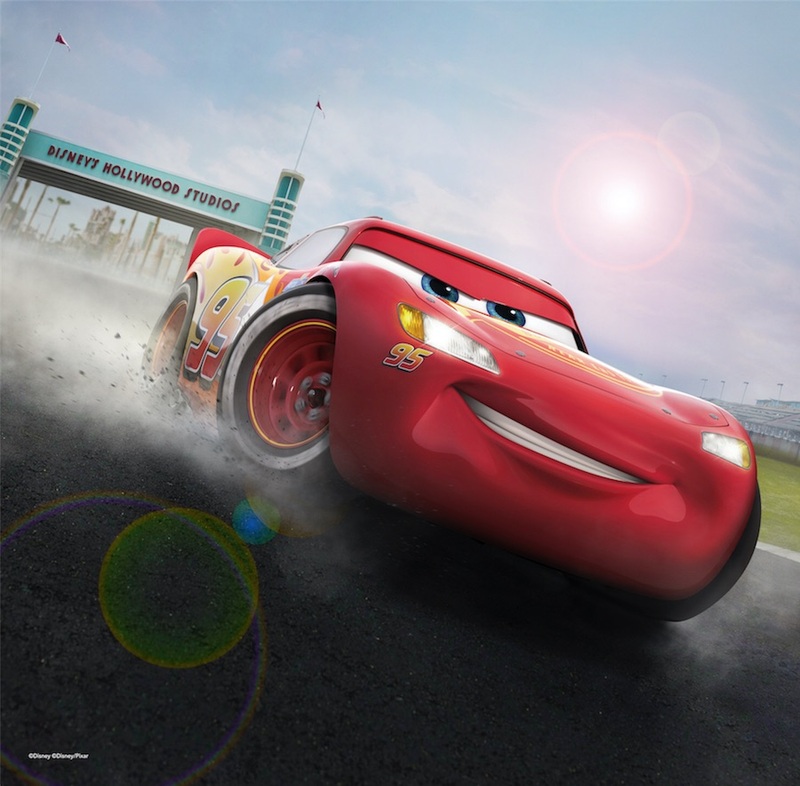 He’ll share his racing talents alongside Tow Mater, Cruz Ramirez and your favorites from Radiator Springs. 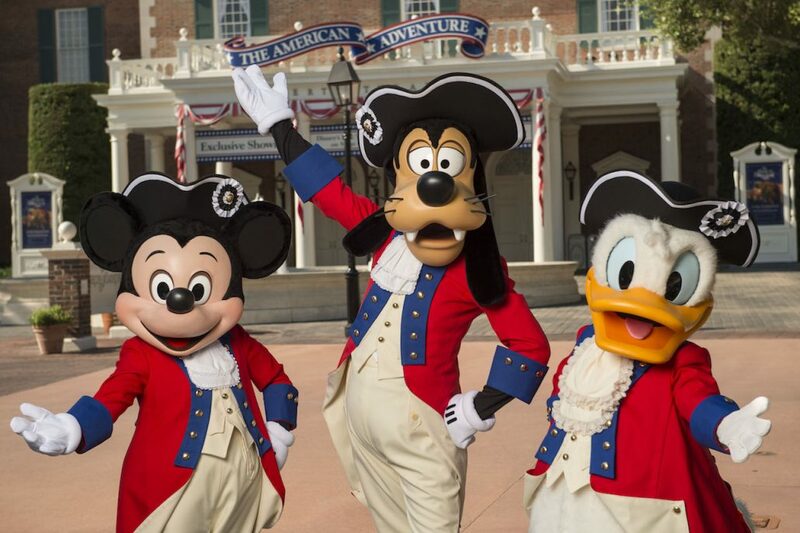 Celebrate July 4th at Epcot. 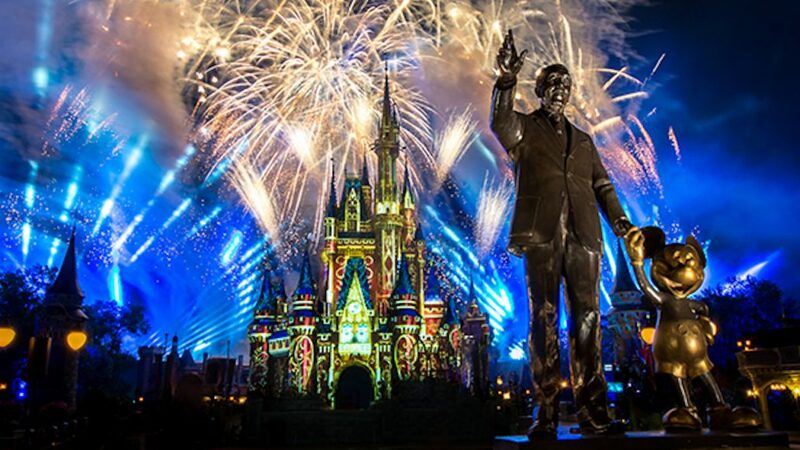 Image courtesy of Disney Parks Blog. Ever wonder what Fourth of July is like at Epcot? It’s patriotic, fun, and delicious! Epcot has an epic fireworks finale at the conclusion of “IllumiNations: Reflections of Earth.” Prior to the fireworks, you can enjoy Voices of Liberty at the America Gardens Theatre at 5:30 p.m., 6:45 p.m., and 8:00 p.m. You can also catch Mickey and friends wearing their red, white, and blue during the day just outside of The American Adventure pavilion. Don’t forget the delicious food to try! Fountain View will have red, white, and blue cupcakes and Refreshment Port will have decorated croissant doughnuts. Get into the good old spirit of America at Liberty Inn with the all-American burger, fried chicken sandwich, apple pie cheesecake, and a slice of watermelon. Yum! Terralina Crafted Italian looks delicious. Image courtesy of Disney Parks Blog. Terralina Crafted Italian is now open in Disney Springs! 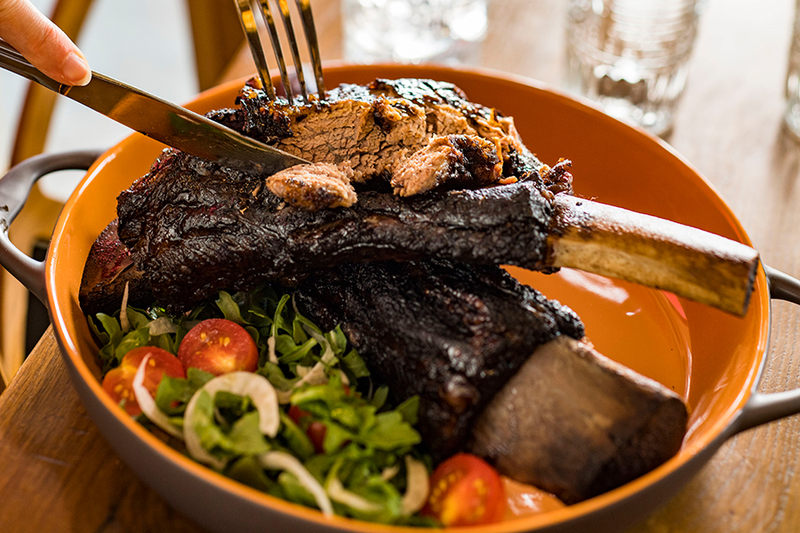 This is the place to be if you want mouthwatering Italian cuisine. You can have everything from House-made Lasagna and Parmesan Duo with chicken and eggplant to wood-fired pizzas. The restaurant has a very cozy atmosphere with indoor and outdoor seating and even a waterfront view. Terralina accepts the Disney Dining Plan and also takes Advanced Dining Reservations. New packages are available! Image courtesy of Disney Parks Blog. Disney’s fall discount, called “Magic Holidays Room Offer” was released this week. 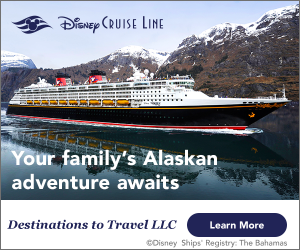 If you are considering traveling between October 8th and December 24th, you could save 20% as long as you book by October 7th. These offers usually have limited rooms available and fill up quick so book soon. Ferrytale Fireworks: A Sparkling Dessert Cruise will be closed from July 1st through October 20th, 2018. Disney’s All Star Movies will be under a room refurbishment until sometime in 2019. Disney’s Caribbean Beach Resort will be undergoing refurbishments until sometime in the fall 2018. The renovations have closed Old Port Royale Food Court, Shutters at Old Port Royale, Cabana Pool Bar and Calypso Trading Post. Other food options are available during this time. Disney’s Old Key West is in the middle of room refurbishments until Spring 2019. Also, the Turtle Pond Pool, Turtle Shack Snack Bar, and Flying Fish Gameroom will be closed until July 31st. The Pepper Market at Disney’s Coronado Springs will be closed for refurbishment through summer of 2019. The Quick-Service restaurant will remain open. Tambu Lounge at Disney’s Polynesian Village Resort will close for refurbishment on July 4th for an undisclosed amount of time. Turf Club Bar and Grill at Disney’s Sarasota Springs will be under refurbishment from late July until early August. A small portion of Stormalong Bay Pool at Disney’s Beach Club will be closed from mid-August until the fall to make room for new cabanas. The rest of the pool area will remain open during this time. Star Wars: Galaxy’s Edge is currently under construction at Disney’s Hollywood Studios with an expected opening in late fall 2019.